Small or large scale, hosted or on premise, for any type of work situation, Lifesize video solutions make it simple to get up and running quickly with minimal impact on IT resources and corporate budget. In every department, the collaborative power of video conferencing significantly improves even the most basic operations. And when your business operates faster and more efficiently, your time to market improves. Lifesize is a pioneer in high-definition video collaboration. Their video conferencing solutions are designed to make face-to-face communication natural and intuitive, enabling anyone to operate their systems with little effort and minimal training. From internal meetings, training and sales calls, to client meetings and project management, Lifesize solutions help tackle today’s business challenges like never before. For a greater conference room experience, you can add Lifesize® Icon™conference room systems to your existing Skype for Business environment. Lifesize understands the value of providing outstanding cloud-based conferencing. 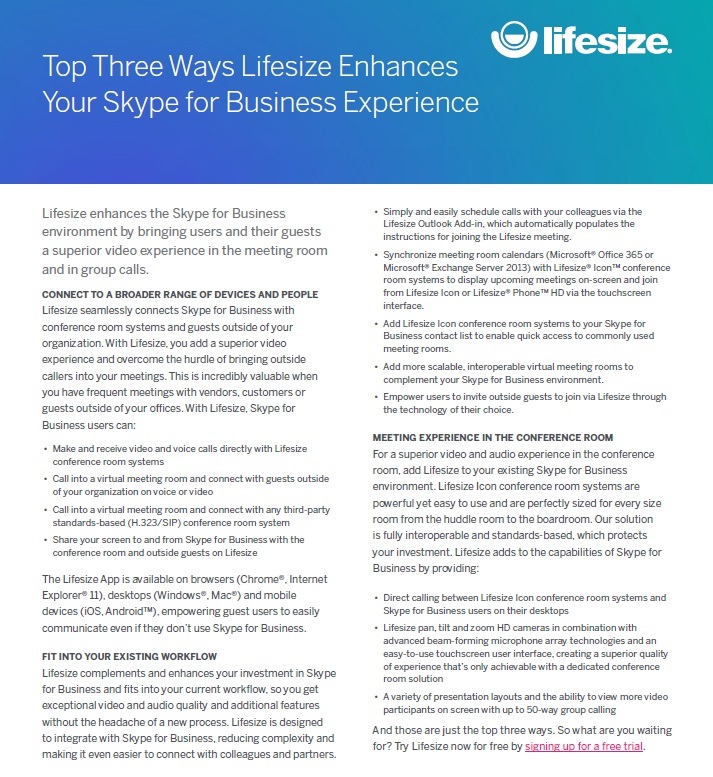 That’s why Lifesize offer interoperability with Skype for Business, whether used as part of Microsoft Office, as a stand-alone, or their award winning Lifesize Cloud service. Lifesize Cloud is a great way for your organisation to connect over video when you need to communicate. Great features, like an easy-to-use interface, screen sharing, calendar integration, chat and audio-calling options will help you drive greater collaboration. Simple point-to-point and mobile calls that can quickly escalate to multiparty calls, by clicking on a name in a directory, are strong enticements to hold meetings via video. Download a free trial of Lifesize Cloud, and view the Lifesize brochure. In response to the changing face of video conferencing, Videonations have now decided to offer Lifesize Cloud subscriptions on an OPEX model allowing our clients to consume video conferencing in the same way they have embraced cloud telephony, email and storage. Historically video conferencing has been seen as a CAPEX purchase which has limited the potential client base and meant video conferencing was seen as a large and costly expenditure dealt with as a project. Now that we offer Lifesize Cloud to be purchased through operating expenditure, many of the traditional barriers of deployment have been removed. Contact us today to see how the monthly Lifesize Cloud subscription can benefit you and your business. Lifesize Icon 450 is the newest edition to the Lifesize Icon Series. This compact HD camera system provides ultimate simplicity in collaboration for huddle rooms. It is perfect for organisations that have distributed offices and numerous huddle rooms that need an easy to use, plug-and-play system that is simple to deploy and support. With seamless integration with Lifesize Cloud and Lifesize Phone HD, it provides an all-in-one solution. 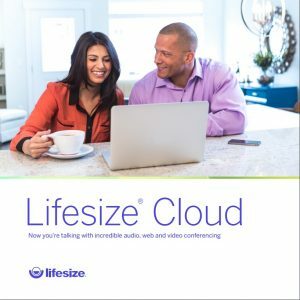 With Lifesize Cloud, Lifesize Icon 450 delivers a powerful and robust set of capabilities, such as a directory with name-based one-click calling, virtual meeting rooms, screen sharing, calendar integration, chat, automatic software updates and more. Designed to bring the power of video conferencing to small meeting spaces. Delivering an unparalleled immersive experience that enables participants to focus on sharing knowledge and achieving the objectives of the meeting. Perfect for large meeting spaces because it supports multiple displays, cameras and microphone inputs and is easy for everyone in your organisation to use. Ideal for expansive meeting spaces and allows you to connect multiple devices (cameras, mics, laptops etc.) while still delivering an immersive high quality video conferencing experience.